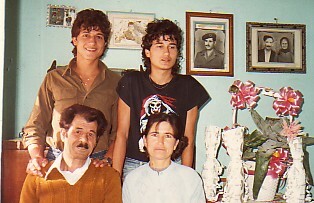 Above: The Andronikos Family- parents, Christos and Evangelia, with their children, Nikolaos and Apostolis. 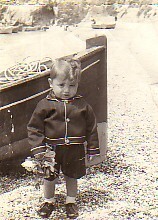 Above Right: As a toddler, at Melinda beach. Above: At the panygiri of Panagias Kryftis, which is celebrated eight days after Easter. 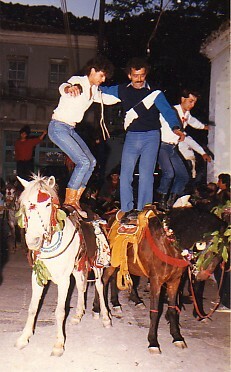 I am dancing on horses (left), with my friend, Panagiotis Savvas. 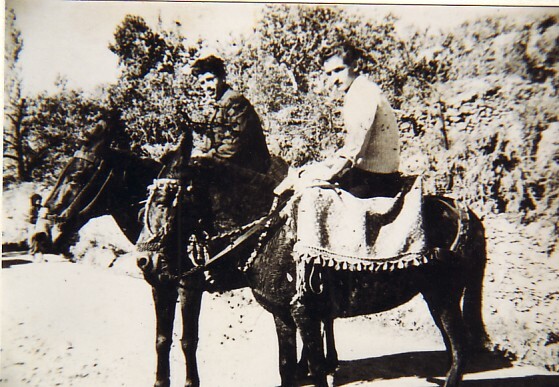 Above: My father, Christos (left), with Panagiotis Koutlis, on mules at the village. 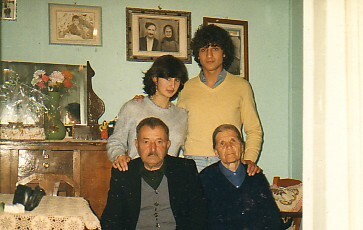 Above: With my maternal grandparents, Apostolos and Penelope Kambouris, and my wife, Eleni. 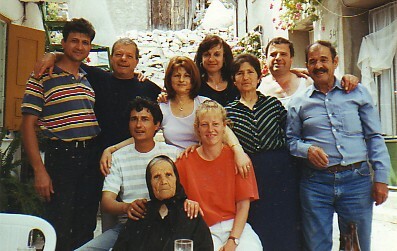 Above Right: With my relatives (2001). Standing from left are: myself; my mother's brother, Manolis, and his wife Giota; my mother's sister-in-law, Eleni (Efstratios' wife); my mother, Evangelia; my mother's brother, Efstratios; and my father, Christos. Sitting from left are: my brother, Apostolis and his wife, Gite, and my maternal grandmother, Penelope.